::: Join us tonight at the Newark Library 6-11pm and register to VOTE! Join us tonight at the Newark Library 6-11pm and register to VOTE! Happy Friday everybody! The weather today is absolutely beautiful - let's celebrate! 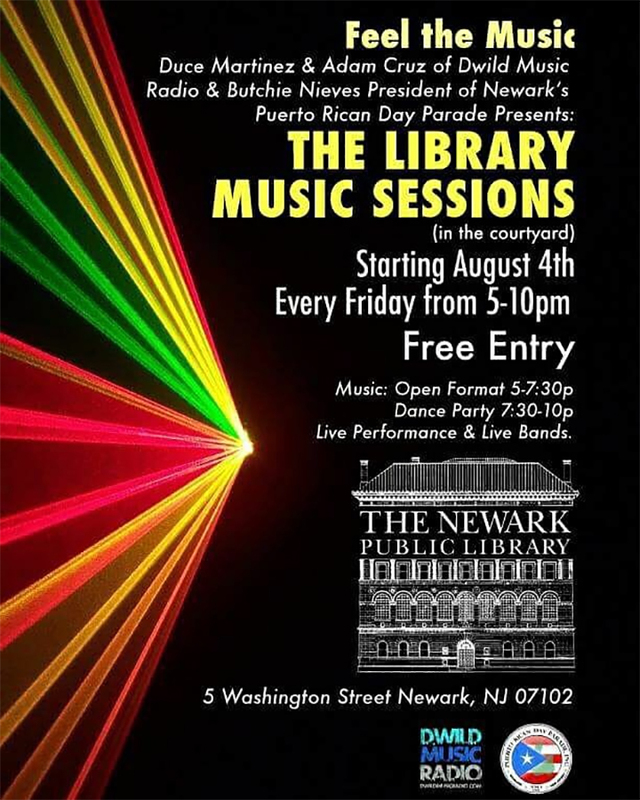 Come join us at The Library Music Sessions Fridays 6-11pm FREE at the Newark Public Library - 5 Washington Street, Newark! With Duce Martinez, Butchie Nieves, yours truly DJ Adam Cruz, and special guest Martin Gee!